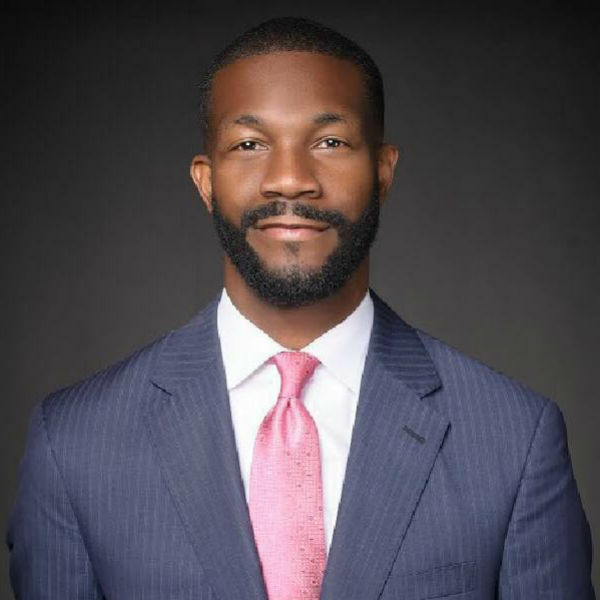 Birmingham Mayor Randall Woodfin has been named one of the most influential African Americans in 2018 by The Root 100. 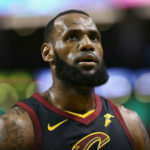 Every year, theroot.com, a digital magazine, publishes a list of 100 influential African Americans between the ages of 25-45 and this year included Woodfin on a list with luminaries such as entertainer Beyonce; Me Too Founder Tarana Burke; NBA star LeBron James and tennis great Serena Williams. Those on the list come from various fields such as Science, Technology, Engineering and Mathematics (STEM), politics, media, entertainment, sports, business, community, and the arts. “This year’s list of honorees is a reminder of the beauty and brilliance of blackness, at a time when the political and cultural landscape has grown even more hostile to the idea of black achievement,” the editors of the list write. Burke, 45, created the Me Too movement in 2006, which went viral in 2017 as #MeToo, becoming the voice of survivors of sexual harassment and abuse. With Black Panther, the 32-year-old director gave us one of the biggest cultural touchstones of the decade. Abrams, 44, has a chance to make history as the first black female governor in U.S. history. James, 33, while vying for GOAT status on the court, scores big off the court with the opening of his I Promise School in his hometown of Akron, Ohio. After a special election in June, Breed, 44, was sworn in as San Francisco’s first black female mayor. Abloh, 37, the celebrated fashion designer and CEO of Off-White, is the first African American to lead Louis Vuitton’s menswear collection. 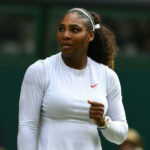 Williams, 37, is the GOAT of tennis, but in 2018, she also became an outspoken advocate for working moms and black maternal health. Waithe, 34, the young and gifted actor and producer of The Chi is staying busy both in front of the camera and behind the scenes. 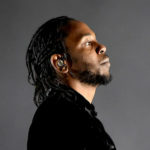 The California rapper, 31, won four Grammys and became the first hip-hop artist to win a Pulitzer Prize for his fourth studio album, DAMN. 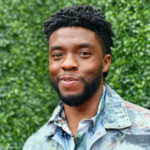 Boseman, 40, played T’Challa, king of the fictional African nation Wakanda, in Black Panther, one of the year’s most successful superhero movies. The Chicago-based rapper, 25, is not only a musical genius, he is using his platform to help improve education for young people in his hometown. 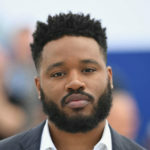 While Jordan, 31, has been turning in memorable performances for over a decade, this year, the actor earned rave reviews as Erik Killmonger in Marvel’s blockbuster hit Black Panther. 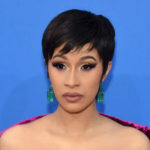 Cardi B, 25, is that rare black unicorn—a successful black female rapper making money moves in the hip-hop game. She’s also the first female rapper to have two No. 1 hits from a debut album. Mock, 35, made history as the first black trans woman to direct a television episode in her directorial debut for FX’s breakout hit Pose. Curry, 30, helped lead his team to back-to-back championships, passed on visiting the White House, and instead, stopped by the National Museum of African American History and Culture. Our favorite homegirl, 38, has been busy since Girls Trip, with movies and a Netflix comedy special coming up. Oh, and she won an Emmy for hosting Saturday Night Live. 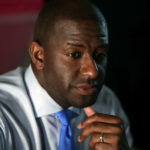 19 — Andrew Gillum, Gubernatorial candidate, mayor of Tallahassee, Fla.
Gillum, 39, defied the odds by winning Florida’s Democratic gubernatorial nomination and could make history by becoming the state’s first black governor. While Beyoncé’s, 37, claim to fame is being Beyoncé, this year, she made history once again by being the first black woman to headline the Coachella music festival. Joseph, 29, became a hero to children everywhere when he launched the #BlackPantherChallenge so that they could see Marvel’s first black superhero. Gurira, 40, portrayed the fierce warrior Okoye in the megahit film Black Panther and has been an advocate for women and girls around the world. After unseating her 10-term opponent in the primary, Pressley, 44, is on her way to being the first black woman to represent Massachusetts in the U.S. House of Representatives in an uncontested race in the November midterms. 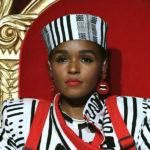 Monáe, 32, the multitalented star and LGBTQ advocate opened up about her sexuality, paving the way for others to be themselves openly and freely. 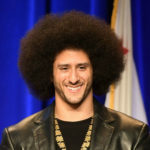 Kaepernick, , 30, who inspired others to take a knee to protest racism and police brutality, became the spokesman for Nike’s 30th anniversary “Just Do It” campaign. Hamilton, 37, who is best known for investing in tech founders from underrepresented communities, established a $36 million fund exclusively for black female founders. Wiley, 41, became the first black artist to paint a presidential portrait for the National Portrait Gallery with his unique take on President Barack Obama. The Academy Award winner, 39, hasn’t slowed down one bit since his hit film, Get Out—he’s working on a new thriller and plans to reboot The Twilight Zone among many other projects. Durant, 29, the Most Valuable Player in the last two NBA Finals, is also putting up big numbers off the court as a philanthropist. Hannah-Jones, 42, was awarded the MacArthur “genius” grant for making America look at its continuing school- and housing-segregation problem. The actress, 45, has been an outspoken advocate for black women in the era of #MeToo and #TimesUp. 32 — Randall Woodfin, Mayor of Birmingham, Ala. The mayor, 37, is a shining example of the new progressivism sweeping the South. The Emmy-nominated actress, 45, best known for her role as Rainbow Johnson on ABC’s hit sitcom Black-ish, has been an outspoken advocate for women during the #MeToo and #TimesUp movements. Lee, 30, who beat an incumbent by running on a progressive slate, is set to become the first black woman elected to the state Legislature from southwestern Pennsylvania. Sherald, 45, painted first lady Michelle Obama’s portrait for the Smithsonian’s National Portrait Gallery. Bell, 43, upset a longtime incumbent to become the next prosecutor for St. Louis County. Wilson, 27, co-founded a private, members-only social club called the Gathering Spot in Atlanta, with a second location coming to Washington, D.C., in the fall. Jealous, 45, is the Democratic gubernatorial candidate for Maryland and could make history as the state’s first black governor. Madison, 32, is the entertainment and pop-culture critic of the Daily Beast whose sharp, witty observations are about to expand into TV and film. Serwer, 36, has continuously written excellent pieces around white nationalists and Donald Trump’s presidency for The Atlantic. Omar, 36, is expected to become the first Somali-American woman and one of America’s first Muslim women to serve in Congress after the November midterm elections. The former journalist-turned-TV writer, 45, is the creator and showrunner of Netflix’s hit series, Marvel’s Luke Cage. Ghansahm, 36, won the Pulitzer Prize in Feature Writing for her profile of Charleston, S.C., mass shooter Dylann Roof. I Can’t Date Jesus, a collection of essays about Arceneaux’s coming-of-age as a black queer man in the South, lit up the New York Times best-sellers list. Arceneaux is 34. The owner of two epically popular Seattle-area eateries, Jordan, 38, won two James Beard Awards, including the first honoring an African-American chef for Best New Restaurant. Moore, 42, put his experiences as a gay black man to paper in No Ashes in the Fire, his authorial debut and a pivotal coming-of-age story. 47 — Melvin Carter, Mayor of St. Paul, Minn.
Carter, 39, is the first black mayor of St. Paul, Minn.
Collins, 39, raised $48 million to expand Zume Pizza, the thriving mobile-delivery business that uses robots in the pie-making process. The Philadelphia Eagle safety, 30, helped lead his team to a Super Bowl championship while continuing to protest against police brutality and social injustice. The 26-year-old Maryland native is the youngest African-American cannabis dispensary owner in the country. 51 — Nikuyah Walker, Mayor of Charlottesville, Va.
Walker, 38, ran for office after the tragedy of the Unite the Right rally in 2017 and became the first black female mayor of Charlottesville, Va. The actress-turned-duchess, 37, upended royal tradition with the blackest royal wedding in history. Now she’s using her new platform to elevate her philanthropic works. Paralyzed after being shot five times by Pittsburgh police, Ford, 25, became an outspoken advocate calling for an end to police brutality and violence. The Newark, N.J., high school principal, 42, opened an on-campus laundromat to combat bullying. Hammonds, 26, went from being a one-time intern at Facebook to bringing in 150 young people to experience their own internships there. St. Félix, 25, writes flawlessly about pop culture and black identity for the New Yorker. Arnold, 38, was nominated for an Emmy for Outstanding Choreography. Cole, 36, is co-writer of Marvel’s Black Panther, the blackity-black-blackest on-screen experience of the year. Cherry, 37, is the creator of the award-winning podcast Revision Path, which highlights black designers, developers and content creators. Brown, 39, is the co-founder of #BMoreLeadFree, a campaign to raise awareness about lead poisoning in Baltimore. Bennett, 33, was elected to local office in Atlantic County, N.J., after challenging a Republican incumbent who made a sexist joke after the Women’s March. Crowe, 35, is the founder of a food-management company that uses technology to reduce hunger by helping companies distribute surplus food. The two-time National Book Award-winning author, 41, of Sing, Unburied, Sing received the MacArthur Foundation’s “genius grant” in 2017. Lathan, 38, is the champion of the people for calling out Kanye West on his dumbass “slavery was a choice” comments. Fury, 30, who is known for his epic rants on The Read, his weekly podcast with Crissle West, is teaming up with Lena Waithe for an HBO series. After having a double mastectomy at 28, Hart, now 32, has become a visible advocate for post-cancer body positivity. Ijeoma Oluo, 37, is the New York Times best-selling author of So You Want to Talk About Race. Taylor, 33, won two silver medals for bobsledding at the 2018 Winter Olympics, winning her second with a torn Achilles heel. Allen’s, 26, research around cancer has given doctors more information about how tumors spread through the body. James, 29, is the co-founder of The Collective PAC, an organization that helps black candidates get elected to office. Giddens, 41, who won a MacArthur Foundation “genius grant” in 2017, perfectly captured the black experience in her latest album, Freedom Highway. Bowie, 28, is the fastest woman on earth. Tabacco Mar, 36, is an American Civil Liberties Union attorney who represented a gay couple who sued a Colorado baker who refused to make them a wedding cake. Twitty, 41, made culinary history this year as the first African American to win the distinguished James Beard Foundation Award for Book of the Year. Hill, 42, was awarded the National Association of Black Journalists’ Journalist of the Year in 2018 and recently joined The Atlantic as a staff writer. Burley, 30, who’s the head of youth engagement and skills for the Global Business Coalition for Education, teaches young people how to use their personal stories to empower their futures. Though he has photographed celebrities like Spike Lee, Issa Rae and Usher, Wagner, 32, is best known for his gorgeous black-and-white photos of everyday New Yorkers. Bailey, 29, is a filmmaker and writer whose web series, Brown Girls, was picked up by HBO. Lawson’s, 39, photography offers stunning looks at everyday black life. 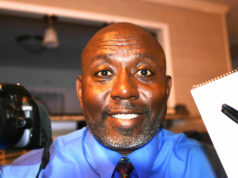 Weaver, 42, peeled back the layers of tainted lore and history to verify that famed whiskey maker Jack Daniel actually learned the whiskey trade from a black man named Nathan “Nearest” Green. Taylor, 29, is one of the highest ranking blacks in the Trump administration. Brown, 26, started a viral hashtag for cute people with disabilities and is now working on her debut essay collection. Mandë Holford, 39, is using “killer snails” to do extraordinary research around cancer. An avid believer in her community, Hughes, 26, is the co-founder of Detroit Speaks, an organization that helps high-school-age students build leadership skills. 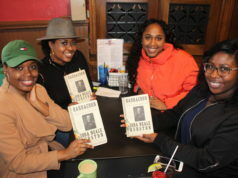 Young, 43, opened the first new black-owned bookstore in 20 years in the Anacostia neighborhood of Washington, D.C.
Tourmaline, 35, (formerly known as Reina Gossett), an outspoken advocate for trans rights, is co-writer and co-director of the film Happy Birthday, Marsha!, the story of trans activist Marsha P. Johnson. 88 — Kima Jones, founder, Jack Jones Literary Arts. Jones, 35, is founder of Jack Jones Literary Arts, a book-publicist firm whose roster primarily includes women and writers of color. Petersen, 27, is co-founder of the Gathering Spot, a private, members-only co-working and social club in Atlanta with plans to build a second location in Washington, D.C.
Braswell, 27, founded a nonprofit organization to help young girls of color get into technology. As Lyft’s first diversity chief, 26, Meyers helped the ride-hailing company create a “culture of belonging” and recruit a more inclusive workforce. He’s recently taken his talents to Coinbase, a digital-currency wallet. Jean-Raymond, 31, has dressed stars such as Issa Rae, Jaden Smith and Donald Glover, but the designer is best known for centering black people and the black experience in his work. 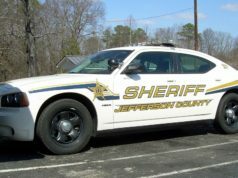 In an ultimate act of courage, Shaw, 30, rushed a gunman on a killing rampage at a Waffle House in Tennessee. Whitley, 29, is the founder of ChopArt, which provides a creative outlet for homeless teenagers. The former director, 38, of Harlem Stage made history when she was named the first director of hip-hop culture at the Kennedy Center. Pecou, 43, is an artist who centers his work on blackness, in particular, black masculinity. Thomas, 27, is editor of the Harvard Law Review, only the fourth African American to hold the position in the publication’s 132-year history. Harvell, 40, is bringing the spotlight to chefs of color thanks to her Iconoclast Dinner Experience events. Betts, 38, a 2018 Guggenheim fellow in poetry, became a lawyer and poet after serving nine years in prison.